Guide the ball to the exit without touching any walls. 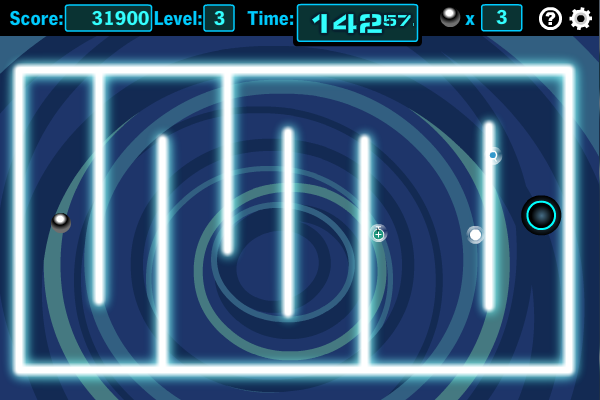 In this game, the player control the ball movement by using the ←↓↑→ arrows keys on the keyboard. Guide the ball to the exit without colliding with any walls. The goal of the game is to reach the exit within time limit. The Terror is a top down shooter. Endless space scope is waiting for courageous racers! The galactic tournament for space gliders races is announced. Sledge-hammer engine roar, dizzy steep turns and mad speed - that`s what`s waiting for you in the game Space Race Mania.